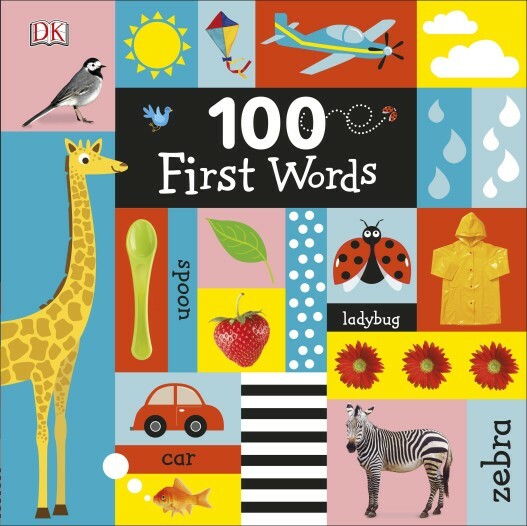 Cleverly designed in a large trim size to inform and entertain, 100 First Words is the start of your baby's learning adventure and introduces them to primary concepts like shapes, colors, animals, and so much more. Crystal-clear photos show the wonder of the real world, from baby's body to baby's food, while delightful illustrations tell simple stories that foster learning, from penguins playing in the snow to a mouse climbing a ladder. 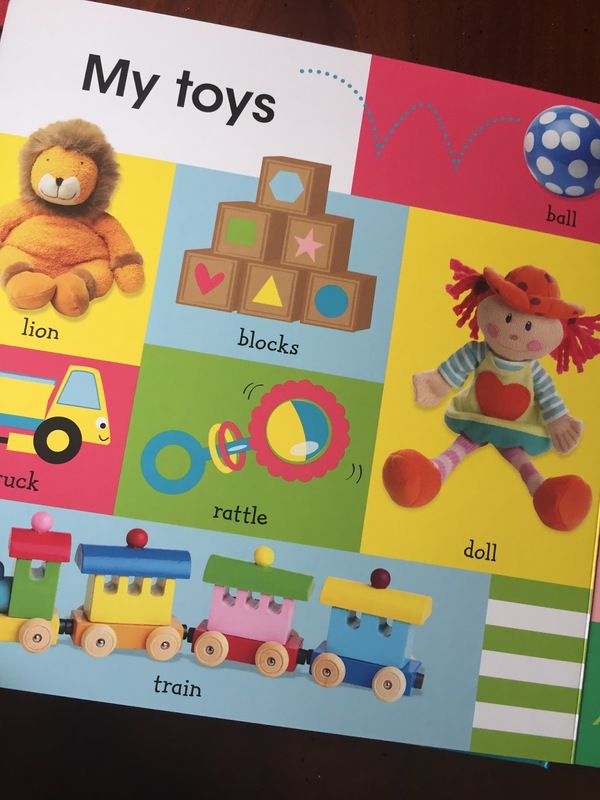 Clear word labels encourage pointing, naming, and talking, aiding in early identification and language skills. 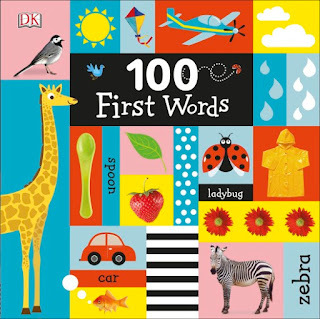 With 14 themed pages covering all the familiar things little ones are interested in and a sturdy board book format, 100 First Words is the perfect first book for parents and babies to share. 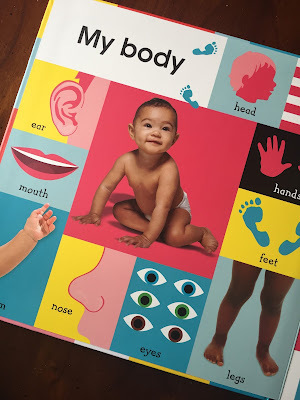 When my kids were babies they loved their picture board books. They had no idea they were learning about the things all around them they just knew they liked the pictures. 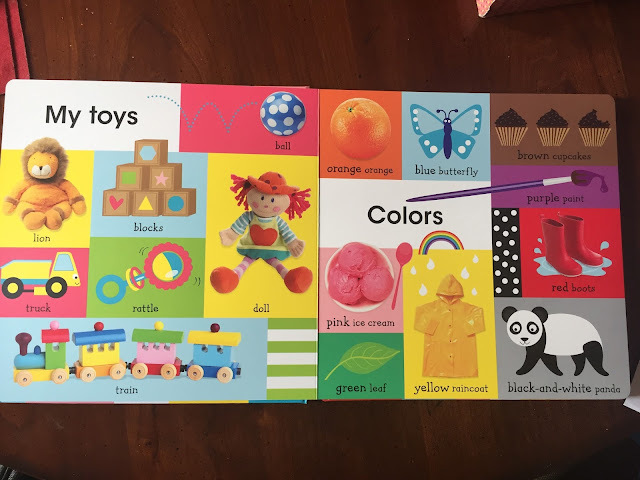 My son would study these books every day. He loved to look at them with me and also without me. He sat multiple times during the day and looked at the pages as if he could actually read. Now that I am working with preschoolers I see the same thing. 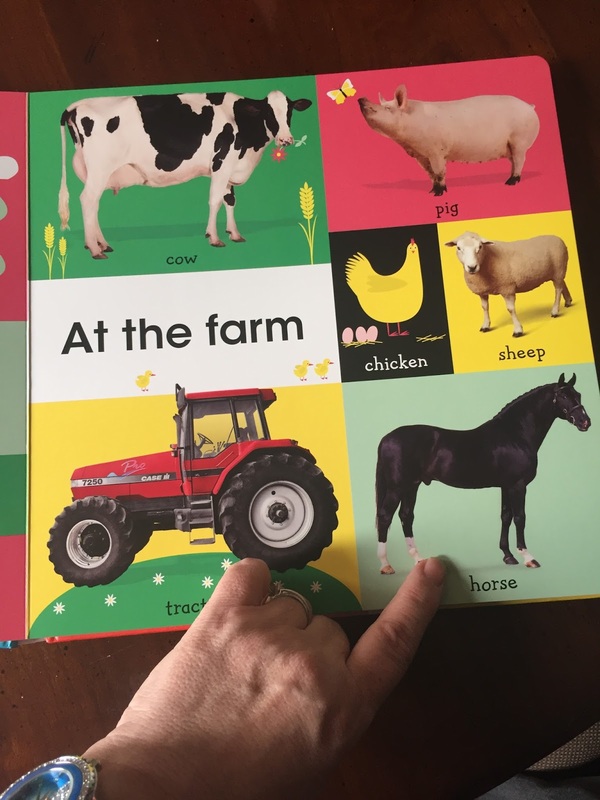 The kids love looking at these books. They love pointing and answering open ended questions like "who sees a big, yellow sun" or "can someone point to something that has wheels?" 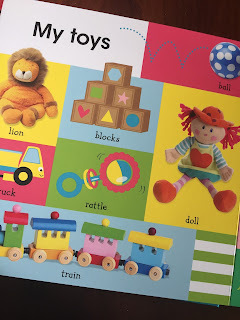 These books are perfect for helping your child learn that there are letters and words associated with pictures. I will broaden their love of knowledge and help them learn to identify letters. Great pictures and a large book for sitting with an adult or other kids. AND the price is amazing! My preschool class will love this book!